This well-equipped, stone built four bedroom home offers spacious open plan kitchen/dining area plus separate living room, bifold doors compliment both rooms. A useful utility with access to garden, and cloakroom provides thoughtful living accommodation to the ground floor. The stairs with half landing and window give ample natural light and lead to four double bedrooms. The master bedroom has a large dressing area and ensuite while bedroom’s 2 & 3 benefit from built in wardrobes and served by the contemporary fully tiled family bathroom. Externally this property offers an integral garage and driveway parking. 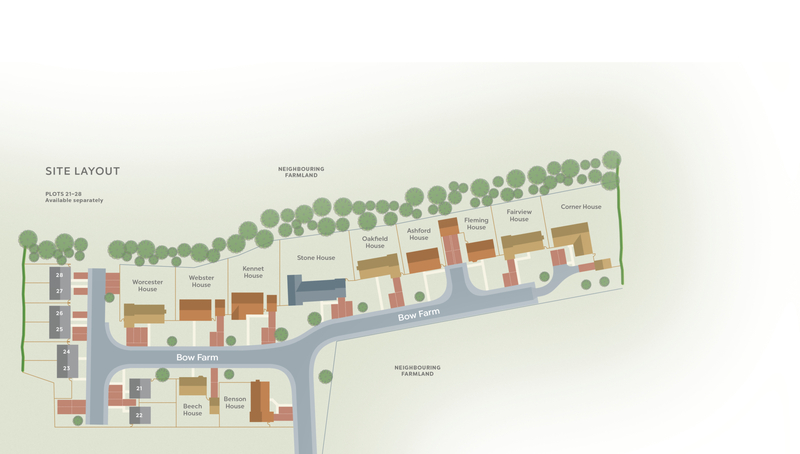 To register your interest in Benson House, Plot 19 and/or to arrange a viewing, click the button below and fill out the form. 3805mm x 2940mm 12'6" x 9 '8"
Benson House, Plot 19 is part of the Bow Farm Phase Two development. For more information click the button below.